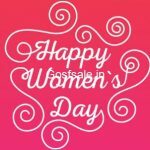 Big Bazaar Women’s Day Sale – Women’s Day Offers 2017 : Big Bazaar Women’s Shopping Day – 8th March Women’s Day : Big Bazaar Celebrates Women’s Day in Unique way. i.e. by providing real value to it’s customers. Just Shop for Rs. 2000 and above and get Rs. 1000 worth Vouchers Back!.Big Bazaar Womens Shopping Day: Great Discounts On Fashion & Electronics. BigBazaar Women’s Day will now be ‘Women’s Shopping Day’. Shop for Rs. 2,000/- or more and get gift vouchers worth Rs. 1,000/- FREE! * The 1000 vouchers will be given in form of 4 vouchers of 250,each valid for April,May,June and July 2017. * Offer is valid from 1st April 2017 to 30th April 2017 only (will put equivalent date for May,June,July). * Offer valid on redemption in a single bill only and that to on minimum shopping of 750/- from 1stApril 2017 to 30thApril 2017. * GV is valid across select Big Bazaar,Food Bazaar,FBB stores across India. * GV not valid on purchases Oil,Ghee,Sugar,Baby Food,and Patanjali products. * No two offers shall be clubbed together. * Customers are eligible for the offer only if they hand over the GV to the Cashier before billing for the products. * Offer must be availed in during above mentioned period only. It cannot be carried forward to the next month. * Future Retail Limited (Company) reserves the right to withdraw/suspend/cancel/change this offer without prior notice and without assigning any reasons thereof. No correspondence in this regard shall be entertained at any time. * If any dispute pertaining to the offer,decision of company shall be final and binding. * Terms &Conditions of this scheme are subject to change without any prior written notice. * For detail terms and conditions kindly contact Big Bazaar Customer Service Desk at store or call 1800 200 2255.